Mission Carmel, is a Roman Catholic mission church in Carmel-by-the-Sea, California. It is on the National Register of Historic Places and a U.S. National Historic Landmark. 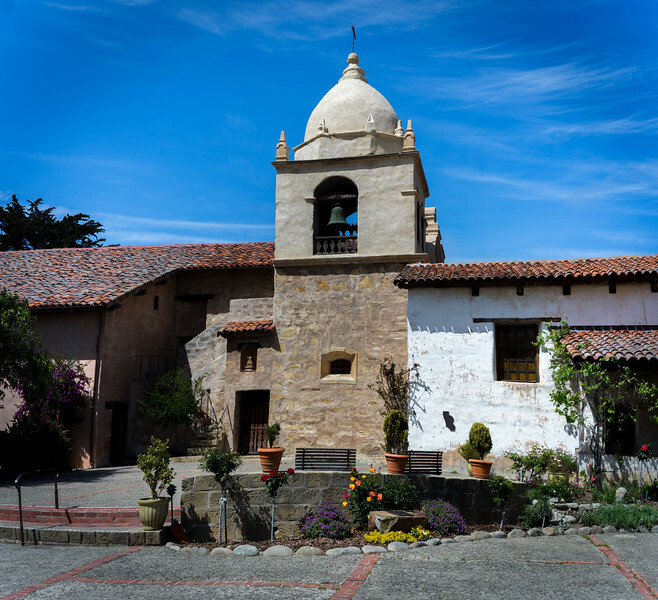 The mission was the headquarters of the Alta California missions headed by Saint Junípero Serra from 1770 until his death in 1784. It was also the seat of the second presidente, Father Fermin Francisco de Lasuen. The mission buildings and lands were securalized by the Mexican government in 1833, and had fallen into disrepair by the mid-19th century. They were partially restored beginning in 1884. In 1886 it was transferred from the Franciscans to the local diocese and has continued as a parish church since then. It is the only one of the California Missions to have its original bell tower dome. Mission CarmelCatholic missionsaint junipero serra.